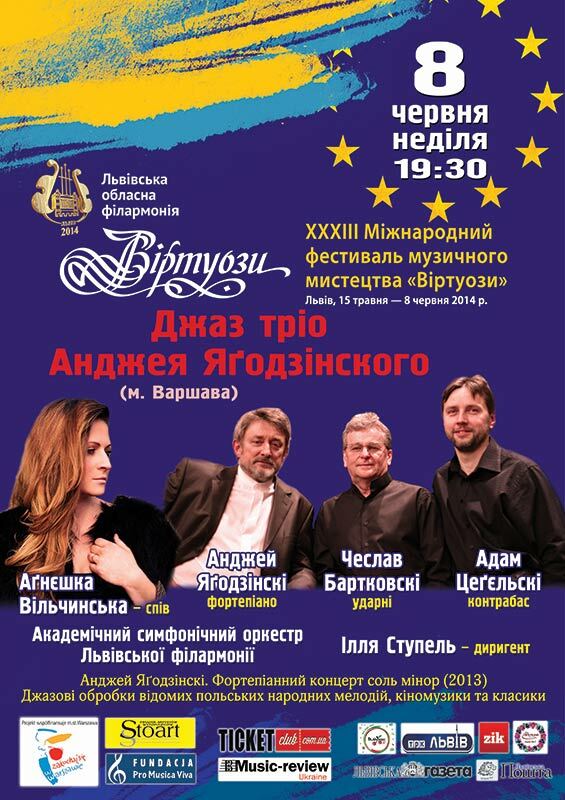 we’ll perform “Piano concerto in G Minor” by Andrzej Jagodziński and pieces from the CD “Muzyka Polska”. Lviv Philharmonic Academic Symphony Orchestra and a superb young conductor – Sergey Horovets. 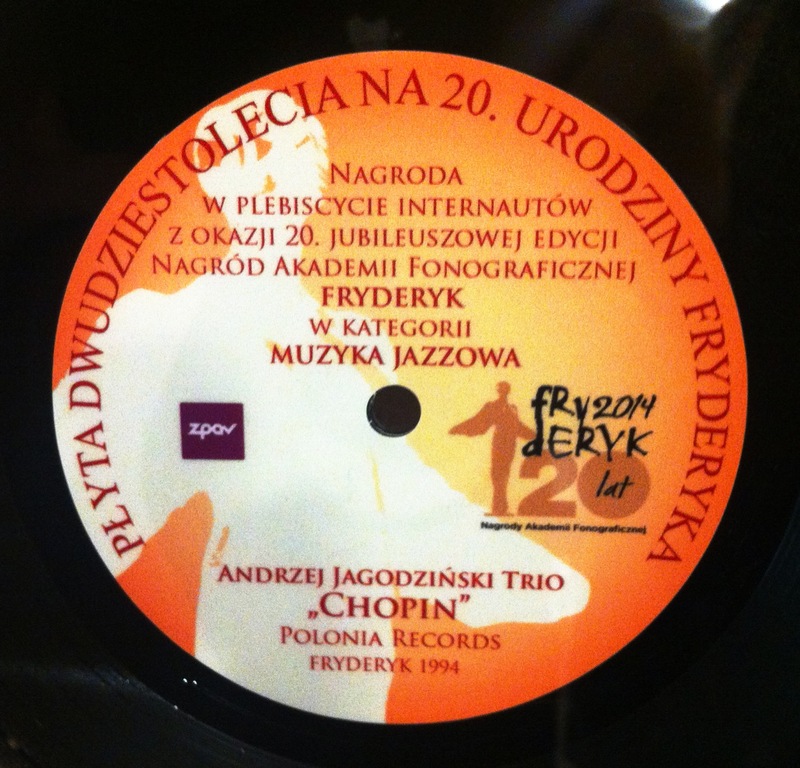 The Polish Society of the Phonographic Industry announced today the results of the voting by the music fans for the best record of the 20. years of the FRYDERYK AWARD. 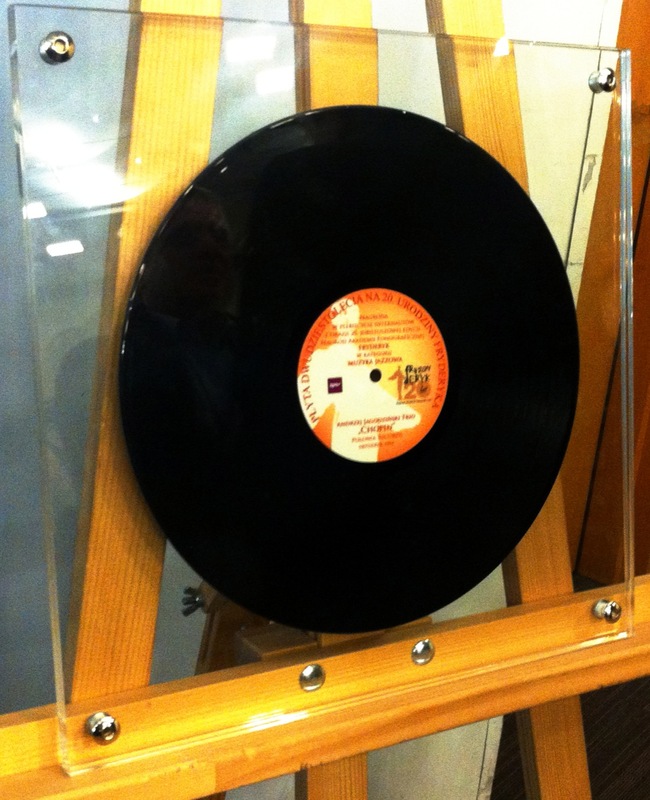 Thanks to our fans the title in the Jazz Album category goes to us!!! After 16 years of our old pages we’ve decided to change the layout of our website. Our old website remains here. Our latest CD – Andrzej Jagodzinski Piano Concerto G-minor has been released. It was a very important day for us! Thank you, from the bottom of our hearts, to all that made our Anniversary Concert possible! It was a pleasure to celebrate the 20th anniversary of our Trio at the Concert Hall of the National Philharmonic in Warsaw. 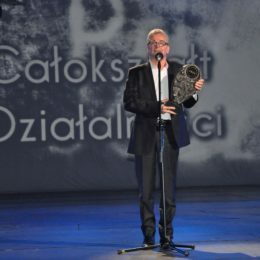 Special thanks to: Jacek Gintowt, director Wojciech Nowak, Tadeusz Boniecki, Warsaw Philharmonic Orchestra directed by Wojciech Zieliński and all the wonderful friends whose performances made our concert unforgettable: Grażyna Auguścik, Ewa Bem, Jadwiga Kotnowska, Aneta Łastik, Agnieszka Wilczyńska, Robert Majewski, Henryk Miśkiewicz, Janusz Strobel and students from Bednarska School: Ola Błachno, Sabina Myrczek and Gabrysia Stańdo. We are very grateful to Piotr Wąsik, the sound engineer, for his hard work. Our latest record was also released that day, so our hats are off to producer Piotr Semczuk from Studio RMT for his dedication and studio work. But it was our wonderful audience who made the night memorable by filling the concert hall to the last seat and put the cherry on top with an overwhelming standing ovation. 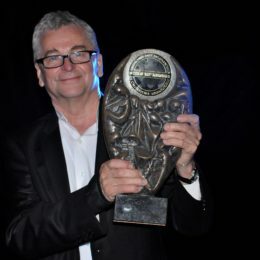 To all our friends – a very warm thank you! Photographs from the concert can be found here courtesy of Tomasz Kwiatkowski. 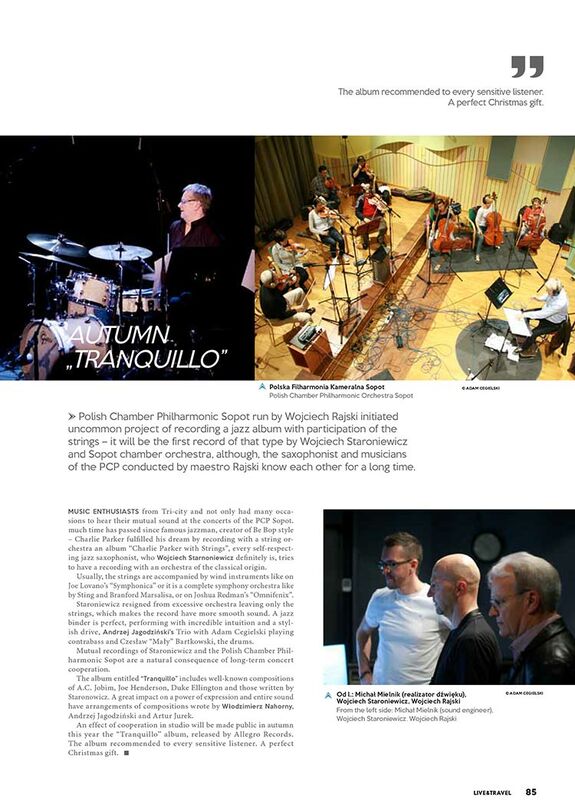 Live and Travel Magazine wrote some words about the CD Tranquillo released by Wojtek Staroniewicz and our Trio.